Beginning April 1st in Toronto and ending April 30th in Victoria join proprietors Steven & Nicole French as they tour across Canada hosting guided tastings at select venues. Tastings will include exclusive member only wines and new releases paired with local chef inspired creations. We are excited to share that our Spring Releases are now available! From the most recent vintage, we have our Sauvignon Blanc & Rosé, as well as a new release, Union, a Bordeaux-Inspired Red Blend from 2016. Our Cellar Club Members got access to these wines first, and their feedback has been astounding! Silver, Gold and Platinum Series make up our portfolio. Focusing on ultra low tonnage, the finest French Oak, small batch ferments and a relentless pursuit of perfection our collection offers a wine suited for Enthusiasts and Collectors. Created with one goal in mind: uncompromising value destined to compete with the best Canadian wines. Recognized for their complexity, exceptional quality and for having harmony between all the key attributes that make an exceptional wine. Produced in small lots, wines that express their terroir with finesse, complexity and authenticity. Wines meant to compete with wines on the international stage. Produced on a barrel basis only. Pure expressions of varietals resulting in wines showcasing depth, layers of complexity, elegance and finish. 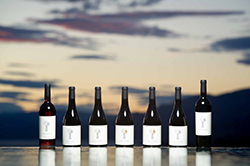 Produced in extremely small amounts, they are exclusively available to Wine Club Members. The best way to enjoy Little Engine Wines. The options are endless; we welcome our members to customize each and every order. A blend of country feel with contemporary design, the Tasting Room is nestled amongst estate Chardonnay vines adjacent to our Barrel Room. 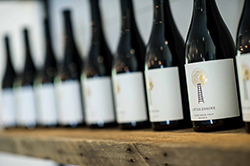 Choose from two tasting experiences - Enthusiast or Collector - each intended to showcase the quality we strive for at Little Engine. 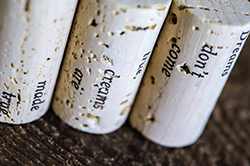 From novice tasters to expert collectors, our staff will guide you through our current release wines. 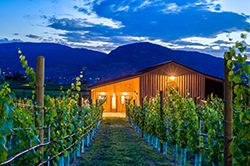 Located on the picturesque Naramata Bench in the heart of wine country, we are a 5 minute drive from Penticton, or for the more adventurous, a 22 minute bicycle ride via the Kettle Valley Rail Trail. Our Tasting Room is open daily 11am to 5pm.